These conditions do not occur every year and then only in a small window of time. I passed this spot on a fast walk without my MF camera gear and doubled back, fully loaded just in time to make this light. As usual, the light did not last long as the clouds moved in. But I got the shot….. 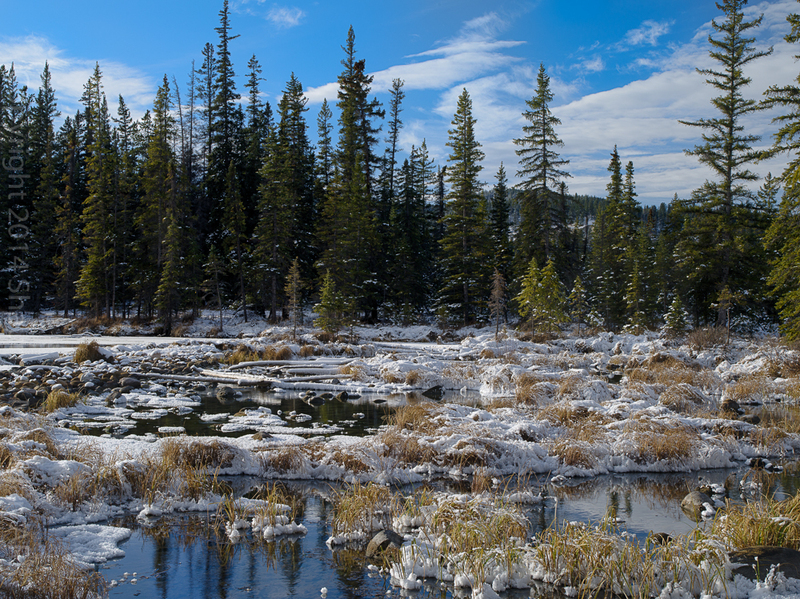 This entry was posted in Alberta Landscapes, Canadian National Parks, Photography and tagged 645D, Jasper National Park, Lac Beauvert, Shaun Merrigan, Winter 2014.